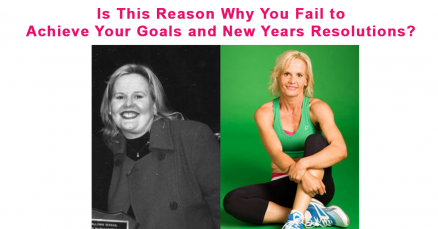 The failure of New Year’s resolutions for 2015 will be just as prevalent as 2014 if changes aren’t made. This is according to Weight Loss Expert Sally Symonds who believes there are no surprises that people approach this time of year with mixed feelings of both excitement and trepidation. But all is not lost according to Sally, who advises that perhaps we just need to ‘change the game’ a little. And this means steering away from the hype of SMART goals. SMART stands for Specific, Measurable, Achievable, Realistic and Timely. According to Sally, specific goals are self-limiting, measurable goals can prevent you from enjoying the process, achievable goals limit you to only aiming for what you hope or think you can achieve, realistic goals set you up for a profound sense of failure if you don’t meet them and timely goals falsely inform you that success has an end date. DUMB stands for Dreamy, Unrealistic, Motivating and Bold which Sally says is not a bad idea, and a process which can be very liberating. “For example, consider that a step-by-step approach to weight loss is just as effective as the traditional ‘all or nothing’ approach. 100% effort x 3 weeks = 300% results, 80% effort x 5 weeks = 400% results and 25% effort x 25 weeks = 625% results. *** According to a 2007 survey of over 3,000 people conducted by the British psychologist Richard Wiseman. Does New Year’s Day Mean New Weight Loss Resolutions?